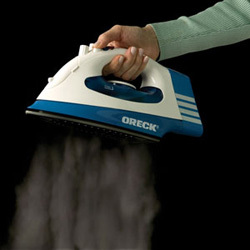 Features a unique swivel power base, non-stick, easy-glide sole plate, wide steam-jet blast and easy-fill water tank. Imagine ironing with a cordless iron. 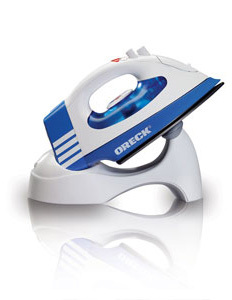 It's fast, easy and efficient with the Oreck Cordless Speed Iron. Oreck's unique power base means there's no cord to get in the way and slow you down. 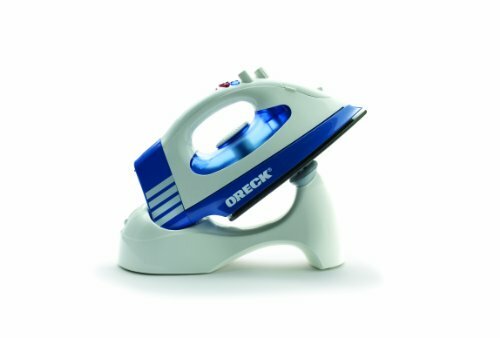 The Oreck Cordless Speed Iron features true temp fabric control, easy-fill water tank with cup and push-button Jet Stream surge. It comes with a non-stick, easy glide sole plate and a one-year limited warranty. 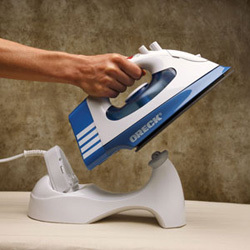 Iron can be used with or without the cord. If you have any questions about this product by Oreck, contact us by completing and submitting the form below. If you are looking for a specif part number, please include it with your message.